What Can DeCarley Trading do for you? If you answered "YES" to any of these questions, we might be the right commodity broker for you. 1. Are you trading on your own at a deep discount futures broker and consistently losing money? We cannot guarantee that you will make money trading with DeCarley, but whether you prefer self-directed online trading through a platform, or broker assisted order entry, we can guarantee that we will work hard to give you the tools and information needed to increase your odds of success. If you let us, we believe that through DeCarley Trading newsletters, and our multiple years of experience, we can help you to achieve your goals by encouraging patience in market entry, as well as utilizing trading strategies with higher probabilities of success. If you are already struggling to make money, what do you have to lose? 2. Are you struggling with platform choices, margin variations, and the confusion of data vendors and order routing? We've done the leg work for you! Just let us know what type of trader you are and what you priorities will be; we will be more than happy to point you in the right direction in regard to choosing an appropriate platform and clearing arrangement. Choosing the wrong platform, and the wrong clearing firm, can be an inconvenient and costly mistake. 3. Do you have a full time job, but want to trade futures and options? Let DeCarley help you monitor the markets and your trades. We are available nearly 15 hours per day throughout the trading week. All the while we are available to give position guidance and market updates by phone, email, or text message. 4. 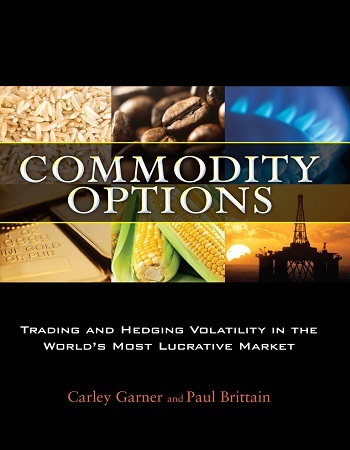 Are you trading savvy, but not familiar with the mechanics of the commodity options and futures markets? Let us help you navigate the markets by steering you clear of illiquid contracts and offering "tricks of the trade" when it comes to the best price execution. 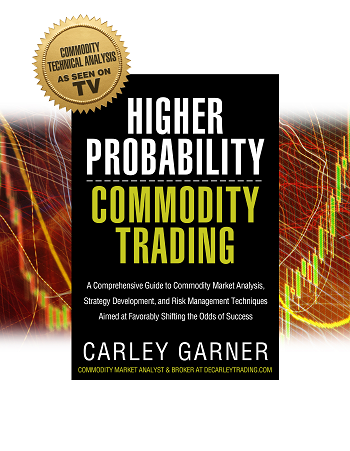 We can also guide you in learning the overwhelming world of commodity calculations (profit, loss, and risk projections). Further, we generally have multiple methods of trade placement. In volatile conditions, this could make a significant difference in fill quality! Our relationship with floor brokers and trade desks, enables us to provide our brokerage clients with more efficient trade execution in extreme events (such as the flash crash). 5. Are you an option seller that can't seem to find a cooperative brokerage firm? Many brokerage firms frown upon short option selling accounts simply because they tend to involve low trading volume and theoretically unlimited risk. However, we believe short option trading (the right way) provides traders with attractive odds of success and promotes a client base that will be around for the long-haul. Accordingly, we have worked hard to provide our clients with favorable clearing and margin arrangements for short option trading that both self-directed online and broker assisted traders might have trouble getting on their own, or with other brokers. For instance, we offer SPAN minimum margin for option selling and we don’t interfere with client trading (force liquidate positions) unless it is a last resort. Many discount brokerage firms will let you sell options, but as soon as volatility picks up they automatically exit client positions without notification. 6. Do the flashing lights of a commodity trading platform encourage you to over-trade your account and in turn promote trading losses and massive transaction fees? Some of our clients are experienced traders with years of market analysis and strategy under their belt. However, they find that placing trades through a broker, as opposed to clicking and trading online, is a useful mechanism to control the human tendency to stray from a trading plan or become too aggressive (over-trading). If paying a few dollars more per round turn can avoid paying thousands of dollars in excessive discount trading commissions and market losses, it is money well spent! DeCarley Trading offers experienced and dedicated brokerage services at competitive commission rates (email us for details on Online Pro rates, you might be surprised). We aren't the cheapest, but we aren't far off and we work hard to deliver the service you deserve! Click here for details on the services we provide. Does your brokerage do this for you? If you would like to open a trading account to work directly with Carley Garner or to trade online using one of our state-of-the-art trading platforms, click below. Where did the name DeCarley Trading come from? DeCarley Trading was founded by Tracy DeCarlo in order to exploit the talents and experience of head broker Carley Garner. It seemed only natural to combine DeCarlo and Carley to form DeCarley. It has a certain ring, don't you think? What do I need to get started trading with DeCarley Trading? How do I open a commodity trading account? No. We don't require that you fund the account with several thousands of dollars as many other brokerage firms do. You are free to open with as much or as little as you would like assuming that you fund the account with enough money to margin any position that you are interested in executing, or to cover the cost of any option that you are interested in purchasing. With that said, not all trading platforms and clearing arrangements are accessible to all account sizes and types. If you intend to start with less than $2,500, contact us for details on which trading platform and FCM would be appropriate for your needs. Which platform should I choose? DeCarley Trading offers several clearing arrangements (FCMs) to choose from, accordingly we are able to provide a list of over twenty trading platforms for our clients to choose from. In fact, our clients have access to nearly all futures and options platforms available, so if you don’t see one on our website, don’t hesitate to ask! Click here to view our suite of online trading platforms for futures and options. If you are unsure of which platform to choose, we can help you determine a good fit for your trading style. Our most popular trading platform is the Zaner360 because it is free to use, provides access to live quotes, charting, and options chains, is user-friendly, and can be attached to mobile access via iBroker. Click here for a list of mobile platforms that enable our clients to trade on the go. How do I fund my DeCarley futures trading account? Funding an account can be done by either check, wire, or an account transfer from an existing account at a competing brokerage firm. Click here for funding instructions. Click here for wire transfer instructions. 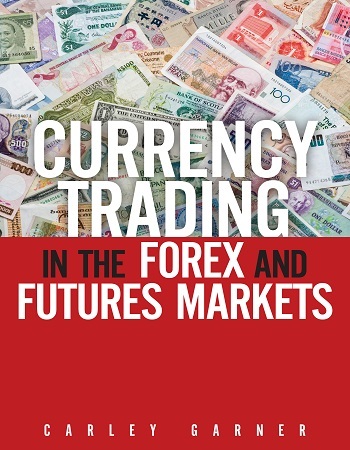 Unlike a stock or Forex account, the CFTC (Commodity Futures Trading Commission) and the NFA (National Futures Association) require that futures trading brokerage houses, also known as FCM's (Futures Commission Merchants) hold customer segregated accounts. This simply means that the FCM is not using your money to fund operations etc. Assuming that your FCM follows proper procedure, aside from your own trading, your money is deposited in a bank account and earmarked with your name on it. In the event of a brokerage firm insolvency, the customer segregated funds (your money) should be unaffected. Is your money safe in a futures account? How do I sign up for a free trial to DeCarley Trading client newsletters? Signing up for the free trial is easy. You can do so on www.CarleyGarnerTrading.com or right here on DeCarleyTrading.com. Simply click on the main menu item titled "FREE Offers" and complete the registration form. Keep in mind that The DeCarley Perspective and the Financial Futures Report are free to DeCarley Trading clients only. Subscription to this e-newsletter is granted upon completion of the account forms and funding of the account. However, accounts must remain active to continue receiving the publications. Can I subscribe to DeCarley Trading newsletters, while keeping my trading account at another brokerage firm? No. We are unable to offer our newsletters services on a subscription basis. If you would like to receive our newsletters regularly, you must have an open, funded, and active trading account. Can I sell naked options at DeCarley? Absolutely. Many brokerage firms limit their clients’ ability to sell options, others outright forbid it. However, DeCarley believes a responsible option selling strategy likely offers the best odds of success. Accordingly, we are more than happy to accommodate our clients who wish to trade in this manner. Does DeCarley offer SPAN minimum margins? Yes. Although the margin policy varies per FCM we use to clear, we offer minimum exchange margin (Standard Portfolio Analysis of Risk) for option spreads and option selling strategies. SPAN is a CME Group (Chicago Mercantile Exchange) product that calculates margin requirements by analyzing the “what-ifs” of virtually any market scenario. The system accounts for various positions held in an account, any antagonistic positions, market volatility, and other factors to determine an appropriate margin requirement. As a minimum SPAN broker, it isn’t possible for competitive futures brokerage firms to offer a lower margin rate for option traders. What does DeCarley Trading have, that other brokerage firms don’t? DeCarley Trading offers refreshingly honest, high end, brokerage services at reasonable rates. We understand that long hours are a must; accordingly we make ourselves available to clients nearly 15 hours per day. Does your broker do that for you? We are also capable of offering quality complimentary educational content, trading coaching, and position advising backed by years of experience without the hefty price tag. DeCarley strongly believes it is our job to provide clients with the tools and information needed to trade efficiently, not just to generate commission. Trading is a game of odds and DeCarley Trading is dedicated to ensuring that we do our job in order to provide you with the opportunities that you deserve in these treacherous markets. While others may rush you off of the phone, we enjoy taking the time and putting forth the extra effort necessary to meet your needs as a trader, whatever those may be. What can I expect as a DeCarley Trading client? DeCarley understands that trading itself is a stressful endeavor; further, it is important that your brokerage firm provide reliable service in order for you to be on the top of your game. We are dedicated to providing unparalleled service at a reasonable rates that won’t unnecessarily work against your bottom line. DeCarley Trading clients will have access to Carley Garner's e-newsletters the "Financial Futures Report" and the "DeCarley Perspective", as well as the ability to communicate directly with Carley regarding questions or concerns. Clients are also be provided with trading recommendations in commodity and financial futures and options markets exclusive to DeCarley Trading clients. Does DeCarley have access to the trading floor in open outcry markets? Yes! Although open outcry trading is slowly becoming irrelevant, it still makes sense in certain circumstances. 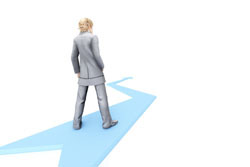 If you are an open outcry option trader it is imperative that your broker have a contact on the trading floor to initiate execution of your trade. Floor access not only provides an insider's perspective as to the "feel" of the market, the efficiency of execution is often superior to that of online trading in open outcry markets. As a client, you would have the ability to request that your order be placed online or on the floor as those placed by hand with a broker (floor) tend to entail slightly higher fees. However, if they can get you a better fill by as little as a tick, you would have likely recouped the cost of their services. In thinly traded markets, this can be a significant advantage to our clients. Does DeCarley Trading offer services other than brokerage? DeCarley Trading is an informational hub for news organizations, websites, and most importantly the retail trading public. The firm offers daily e-newsletters on trading financial futures and options available exclusively to DeCarley clients, as well as a commodity trading newsletter published weekly. 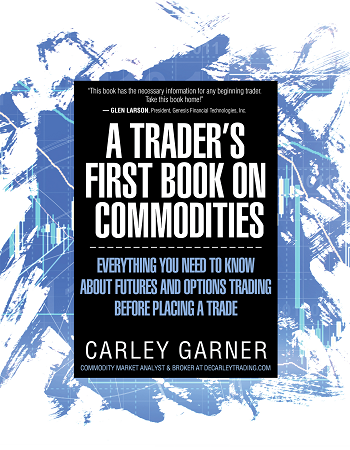 Additionally, DeCarley Trading broker Carley Garner has written three books, "Commodity Options", "A Trader's First Book on Commodities", and "Trading Currencies in the FOREX and Futures Markets". We hope that the honest account of the trading world that the books portray will better prepare you for your future as a trader. What hours can I expect to reach DeCarley? The members of DeCarley Trading love the business of trading and can't seem to pull themselves away from the excitement. A DeCarley representative is available from 5 am to 5 pm Pacific on most days. For those of you on the East coast, this translates into 8 am to 8 pm. However, under most circumstances clients are able to reach DeCarley by phone or email well beyond the normal office hours. In addition, our clients have access to a 24 hour trade desk. What can I expect in terms of commission? We have displayed a customizable commission sheet directly on the Main Menu of DeCarleyTrading.com, Custom Commission Schedule. DeCarley realizes that all traders are different and so are their needs in terms of service. Just as you don't want to pay for service that you aren't getting, we don't feel right about charging you for services not rendered. Thus, you simply tell us where you fit on the scale and we will set your account up accordingly. Keep in mind, the freedom of customizable commissions works both ways. If you chose a self-directed online rate after a "getting started" grace period you will be left to fend for yourself in most aspects. Naturally, there will be times of technical difficulties, poor fills, etc. in which we will be more than happy to assist you but for day to day trading services you will be required to rely on your own abilities. Therefore, if you aren't ready to trade on your own we recommend using a broker to place your trades. Keep in mind that our overall goal is to provide you with the knowledge and confidence necessary to be efficient and effective in placing your own trades, doing so creates a win-win scenario for all parties. After all, as an online trader you will be able to save yourself some money on the transaction costs and we will be able to service many more accounts. I am risk averse, should I trade options or futures? Risk is in the eye of the beholder. Many will tell you that long option strategies are the most conservative due to the fact that they involve limited risk; however, I argue that a combination of long and short, or maybe even outright short option trading, may be a better probability play. Being successful in the game of trading requires an open mind, let us show you how option selling and spread trading may fit your risk and reward profile. I am new to trading, should I feel comfortable trading online? This is a question that only you can answer. However, I caution you that too many beginning traders are tripping over dollars trying to save pennies. In the larger picture, commission paid is annoying but it likely won't be the deciding factor in whether or not you make money, unless of course you are overtrading. DeCarley Trading makes a living through commissions charged to clients. We understand that clients that are happy and, hopefully, successful will create more revenue in the long-run than a client that pays excessive commission but closes her account in a matter of weeks or months. In other words, DeCarley Trading is in-tune with your trading goals and not just focused on the immediate gratification of a round turn commission. As a result, we have gone out of our way to offer very competitive commission rates with much better than average service attached. The bottom line is: if you are comfortable with your market knowledge and your ability to trade online, you have no reason not to trade on your own. However, mistakes can be incredibly costly. If you aren't ready to go on your own, don't force it. I suggest you read the article posted on this site titled Full-Service Brokerage or Online Trading? DeCarley Trading is an award winning commodity broker. Please visit our futures and options brokerage services page by clicking here for details on what each service package entails and how our customizable services might fit your needs. *We don't charge our online futures or options traders extra for placing occasional phone orders, as a courtesy the trade is charged at the set commission rate. Most brokers charge discount online traders an additional $50 to call in orders. All commodity trading commission rates are negotiable based on account size, volume, tradingstrategy (perceived risk to firm), experience, etc. All stated futures and options commission rates are prior to exchange and NFA fees. Self-Directed Online - Pro accounts must meet certain minimum balance and trading requirements contact a representative for details and apply to electronically executed contracts only. Open outcry execution rates fall within the Standard plan. Option commissions are charged up-front, not per side. If you are interested in a managed futures account, commission rates vary per program. Register for our CTA database. Click here. Automated Futures Trading System commissions are set by the system vendor/creator. **There is substantial risk in trading options and futures and it is not suitable for everyone. DeCarley Trading welcomes clients from all corners of the world. We consistently make ourselves available to non-U.S. clients via alternative communication methods such as Yahoo instant messenger and Skype. We also understand potential concerns regarding the time differences, but assure you that we are accessible much more than we not, and provide access to a 24-hour trade desk for the times in which we are not available. We would love to chat with you in regards to our newsletters as well as the other complimentary services that we offer to our brokerage clients. If you are interested in discussing the opportunities, please feel free to contact us by phone at 702-947-0701, or through the following free methods electronic means of communication.